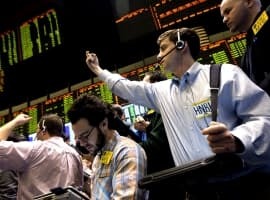 Global stock markets were in turmoil again this week, with the Dow plunging 566 points on Wednesday before recovering to a 250-point loss, and the S&P 500 index bleeding over 3.5 percent to hit an intraday low of 1,820, the worst showing since February 2014. The Toronto Stock Exchange, heavily weighted towards mining and oil stocks, at one point was over 400 points down, giving investors an eerie déjà vu of the financial crisis as the S&P/TSX composite index ended the day under the psychologically-important 12,000 mark. The TSX has been down every day since trading resumed after the Christmas break and Wednesday’s close at 11,843 points was its lowest since 2013. The main Canadian stock board has lost over 10 percent of its value since Christmas and erased all of its gains since 2006, making it a “lost decade” for Canadian stocks, BMO Capital Markets noted. Worried about the IMF’s lower growth forecast for China and yet another take-down in the oil price, which settled at a once-unfathomable US$28.07 a barrel, investors bid down global stocks to their lowest level since 2013. The only good news story of the day came for gold, which climbed 1.2 percent to $1,102 an ounce on the New York Mercantile Exchange. 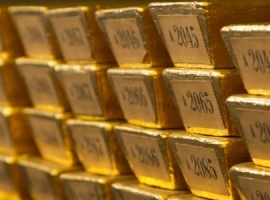 The precious metal is known for its safe-haven status and inverse relationship with equities. When stock markets are down, gold tends to do well. Conversely, when equities are on a tear, the appeal of gold fades among investors, with lower return potential and no dividend-bearing income. Gold is also seen as a hedge against inflation, making it the beneficiary of loose monetary policy. Three rounds of quantitative easing in the United States pushed the gold price from around $800 an ounce in 2008 to an all-time high of $1917/oz in August 2011. 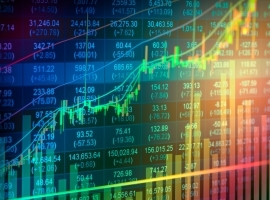 It would be tempting, given recent evidence of gold gaining and crude oil dropping, to surmise that the two events are related, with large numbers of investors selling oil stocks or futures and pushing them either into gold exchange-traded funds, the physical metal, or gold mining stocks. In December 2014, a few months after crude started to fall, Kitco News asked what impact the declining oil price would have on gold and gold mining shares. Its conclusion? Not much. In a chart showing the correlation of gold versus oil, the precious metals news site found “a statistically significant” trend between gold and oil prices dating back to 1983. While the drop in the crude oil price, at least in the beginning stages of the oil rout, did not equate to an equivalent fall in the gold price, “If the crude oil price slump is not temporary … then it’s reasonable to expect the gold price to move a bit lower so that the long-term relationship can remain intact,” the analysis reads. One often-discussed factor in the gold-oil dynamic is how the lower cost of crude impacts gold mining operations and therefore the share prices of gold equities. An important input in the cost of gold mining, one would expect that a lower oil price would translate into lower fuel costs and therefore provide some relief to the operating margins of gold producers. While the costs of gold mining have indeed dropped commensurate with a falling gold price due, in large part, to a strengthening U.S. dollar and improved American economy, resulting in a December decision to raise interest rates, the lower oil price can take little credit for this. An analysis last April by precious metals consultancy GFMS found that despite costs falling 25 percent between 2013 and 2014, at a gold price of $1,200 an ounce, almost half of the gold mining sector is losing money – with all-in sustaining costs of $3,000 an ounce. 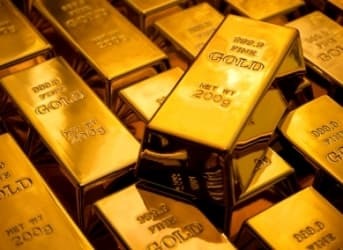 Gold market analyst Lawrence Williams noted in a commentary that falling oil prices lopped just $8 an ounce off the cost of gold mining, compared to $70 an ounce represented by currency declines against the U.S. dollar in gold-producing countries, and mining at higher grades which accounted for $17 of the fall in costs. 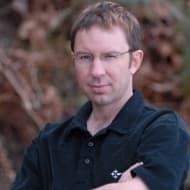 Of course, the oil price has dropped considerably since Williams’ commentary, so gold miners could see better margins this year as a result, but that is likely to be outweighed by the other factors he mentions, i.e., a higher U.S. dollar in comparison to the currencies of gold-producing nations. Discounting lower oil prices, a more accurate forecaster of the gold price is the value of the U.S. dollar, the inflation level and real interest rates. As a commodity priced in U.S. dollars, when the dollar rises the gold price generally falls, because gold is more expensive to buy for holders of non-USD currencies. As to whether that is happening, economists are divided. Some believe the U.S. Federal Reserve will deliver on a promise to raise rates four times this year, due to a rise in the core consumer price index (CPI). Others believe there is less inflation in the economy than implied by core CPI, which has been rising for seven straight months. Gold forecasting being an inexact science even in the best of times, traders are currently having a hard time deciding which direction the price will go. Jeff Gundlach, CEO of Double Line Capital, a bond house, who correctly predicted the oil price crash, recently told CNN that he expects gold could rise 30 percent in 2016 to $1,400 an ounce. “This will happen as an equities bear market emerges, caused by slowing global growth and turmoil in China,” he said. However despite his optimism for precious metals, Jessop lowered his original prediction of $1,400 by year-end to $1,250, telling Cambone he expects continued strengthening of the U.S. dollar and Fed tightening to be “significant headwinds” for the yellow metal this year. Will OPEC Be Forced To Call An Emergency Meeting Soon?